Home / Why Is Index Color Mode A Part Of Photoshop? Quite a few newer to Photoshop and color separations think the Index Color Mode of Photoshop was included so we can do Indexed Color Separations. Well, this couldn’t be further from the truth. The inclusion of the Index Mode never had any intention of being used as a method of color separation. 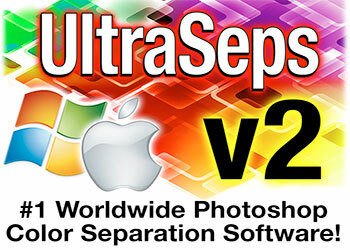 Indexed Color mode produces 8‑bit files with “up to” 256 colors. When converting to indexed color, Photoshop builds a color lookup table, which stores and indexes the colors in the image. 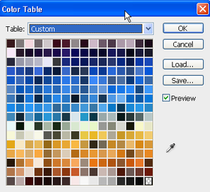 If a color in the original image does not appear in this color table, Photoshop chooses the closest one or uses a dithering method to simulate the color using the available table of 256 colors. Indexing can also be thought of as a Bitmap Mode but with the ability to include any number of colors up to the 256 color limit to render the image. The original intention of Indexing was actually to reduce an image size to be used for web pages and not for color separation. Now, I know some of you won’t agree with that, although when using 256 colors to create an indexed image, its almost identical in appearance to an RGB image and can be 1/5 the size. This indexed image could then be saved in various formats that web browsers could display and load faster as opposed to a full color image saved as a jpeg or ping. This was important back in the early days of the internet with dial-up connections and slow computers, but is obviously not required today. Believe me, Adobe didn’t have screen printers in mind when originally developing Photoshop in the earlier years and they still don’t to this day. Adobe could care less about the screen printing industry, so don’t expect any screen print specific enhancements to Photoshop any time soon! Screen printers in general are quite an inventive group of people however and one day, a long time ago, we took a hard look at indexing and figured out that hey….I could probably select just a small group of colors from the image when converting to Index and use that as an easy, quick separation. And on that day, the indexed color separation was born. In fact, a company named Ocean Pacific, which still exists today and was once wildly popular for their surf-style t-shirts was one of the first companies to use index color extensively when color separating their designs. There’s a few caveats about indexing. One being that the separation can’t be resized since its a bitmap and not a continuous tone image containing grayscale channels. So make sure the original being separated is the intended final size. One other limitation is that index channels themselves can’t be adjusted, other than changing their color. Why? Well, because its a bitmap and the adjustment tools of Photoshop have no effect on them. Even if possible, you wouldn’t want to adjust an index channel due to how process works. A few other annoyances is that running high-speed, automated index separations has the potential to damage the Photoshop Preferences File. You’ll know the preferences file has been damaged if the indexed channels contain no color data, are solid black, completely void, etc. This is easily fixed however by resetting the preferences which is discussed on our Support Page. Another possible issue with doing custom index separations is when the image contains very light colors, such as light pastel grays. When selecting an extremely light gray to be used as an index channel, Photoshop will sometimes scatter random pixels where none should be. This again is easily fixed by making sure the Fuzziness Slider within Color Range is set to 0 when picking the indexed color from an image when creating the channel. These random pixels can also simply be deleted using the eraser tool of Photoshop. Index color isn’t the best choice when images contain gradients as the appearance can be chunky. 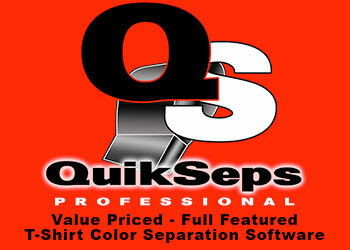 Its also not a desired method when color separating art that fades to nothing into the shirt. This can also appear erratic and not smooth when using index. In conclusion, index color separations should be an option worth considering when deciding the best way to separate a piece of art. Its not the best for everything although when you’re pulling your hair out trying to get that next simulated process separation just right, consider spending some time experimenting with index. You might be surprised with the results.